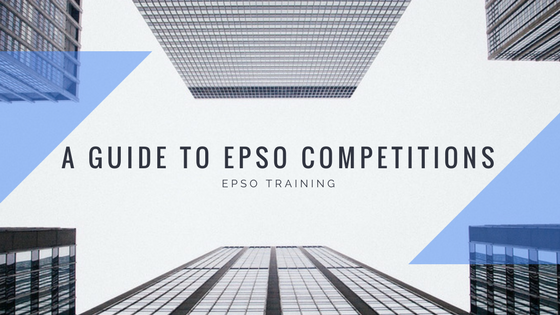 If you are new to EPSO Competitions and you don’t know where to start, then this page is for you! Finding noteworthy careers in which an individual can feel as though they are truly making a difference in the world is difficult. However, with a career through the European Union, a person can feel as though their job is making a difference. Those who work for the EU often feel dignified in the position they hold, feel as if their work matters, and know that what they do is an opportunity of a lifetime that is found with no other company. If you contemplate with the idea of working for the E.U. you should know from the start that it all starts with passing an EPSO exam which represents a difficult due to multiple tests you are faced with and fierce competition. Good news is that we are here to help and if you’re new to the whole process, this should be the first thing you should read! This guide covers topics from contract types available, profiles usually sought by EU institutions, the type of exams you would need to pass and much more. Now you are convinced and you want to apply. In order to do this, you need to have an Epso Account. Follow our indications on how to create an Epso Account or just watch a short explanatory video. There are several contract types in which a person can sign into upon deciding to join the workforce with the European Union. Read here the Type of staff working for E.U. It’s always better to know some things before the exam and learn from other candidates’ experience than to try to discover everything on your own. We’ve prepared a general strategy for the EPSO multiple choice tests that you will face during the preselection. EPSO Numerical Reasoning – tests that will be based on a chart or a table that includes the context of the presentation. Epso Abstract Reasoning – Figures, figures, figures! Try to find a connection between them. The patterns include mirroring, rotation, combination of mirroring and rotation and much more. Epso Accuracy and Precision – AST test which requires to identify errors based on spelling, accuracy of numbers, and information, using numerical and text data, plus pictograms. If you have successfully passed the preselection tests, you will be invited to the Assessment Centre. Our General Tips will give you an overview of the day you will spend in the assessment centre where you will be faced with the Epso Group Exercise and the Epso Oral Presentation Exam.